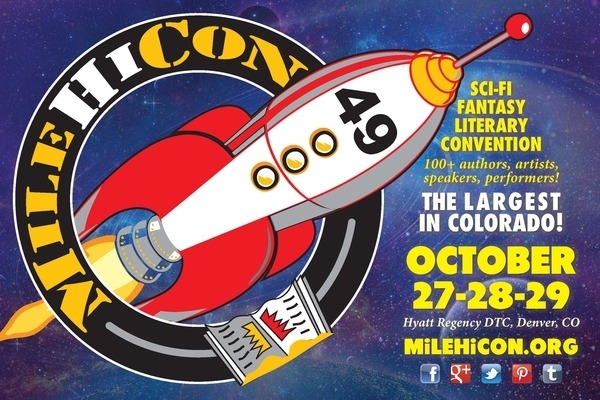 I'll be at MileHiCon 10/27-10/29 along with my Iron Angels co-author, Eric Flint who is a Guest of Honor. I'm on a few panels, and will of course haunt, I mean hang out at the bar! 3:00pm - Living Life in the Open: Panelists explore the impact of big data, surveillance, drones, data mining algorithms, etc., on public-private life. 6:00pm - Knives, Tanks & Things That Go BOOM! : How did the technologies, understanding, and culture of violence change throughout history, and why? How can we use this to understand our favorite fandoms, or create our own "cult of the gun" in our fictional worlds? 9:00pm - Creatures of A Different Night: New twists on old monsters—what’s out there beyond vampires, werewolves, and zombies. 10:00am - Different Roads Taken To Success: Not everyone’s path to success is straight and narrow—find out how these panelists have forged their own paths. The Dashing Chap is the website for writer Alistair Kimble, wherein he discusses writing, classic style, and pop culture.